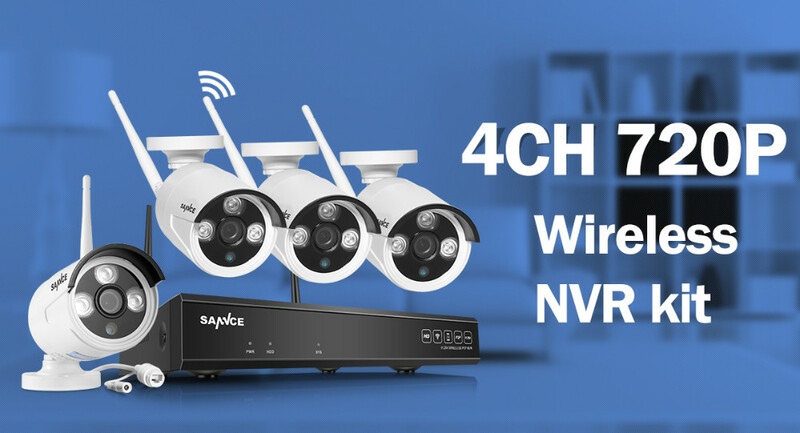 Experience true 720P high quality video which brings everything back to life whether you are recording or taking snapshots and no details will make it pass even if it tried. 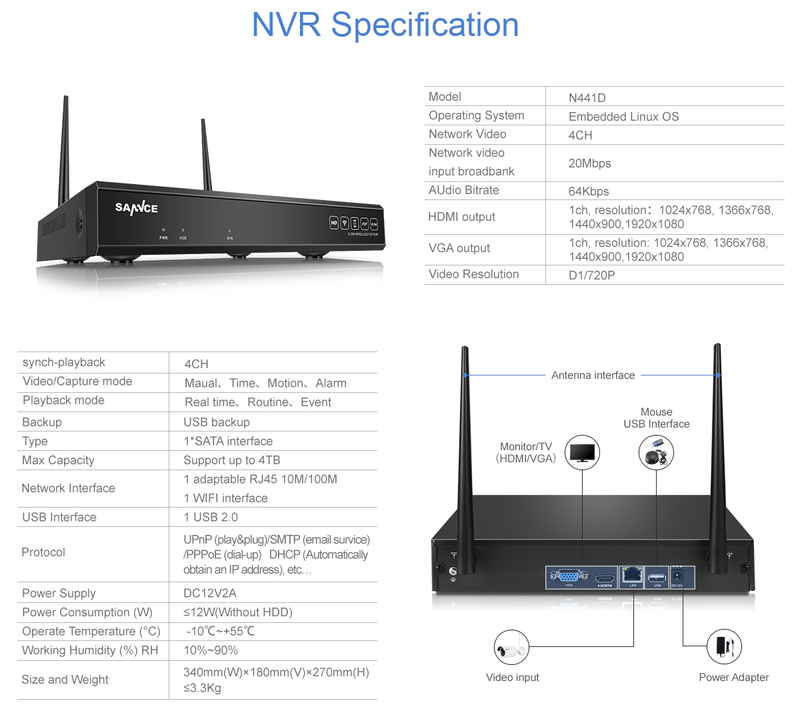 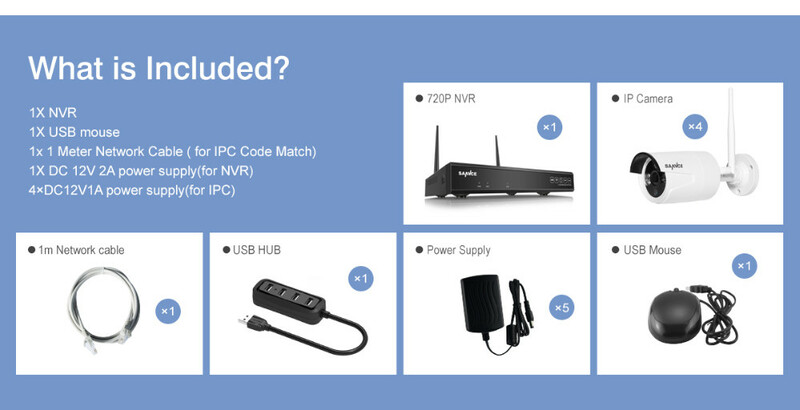 Designed with high performance wireless module, our intelligent NVR kit will definitely free you from complex wiring. 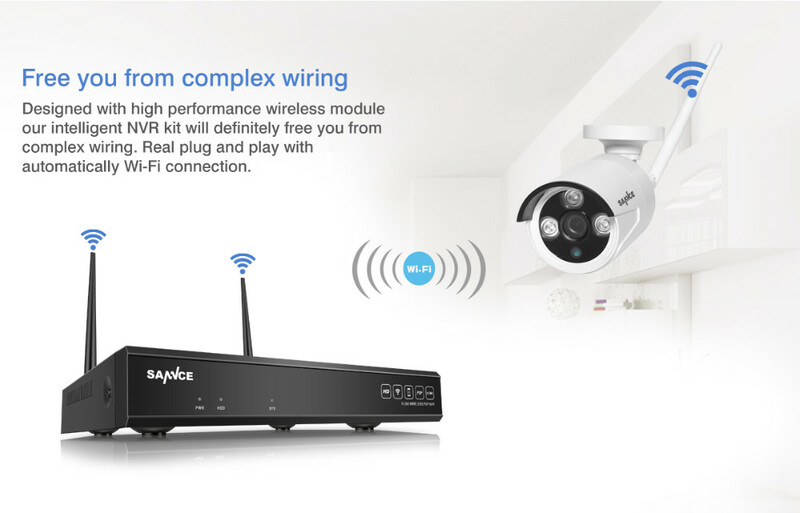 Real plug and play with automatically Wi-Fi connection. 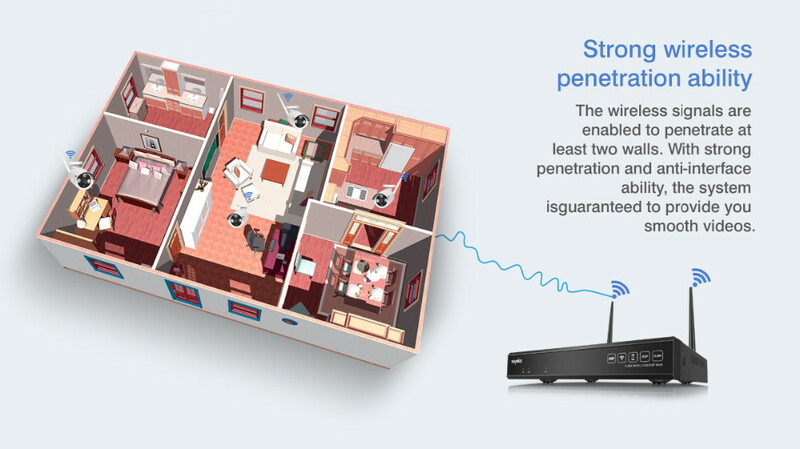 The wireless signals are enabled to penetrate at least two walls. 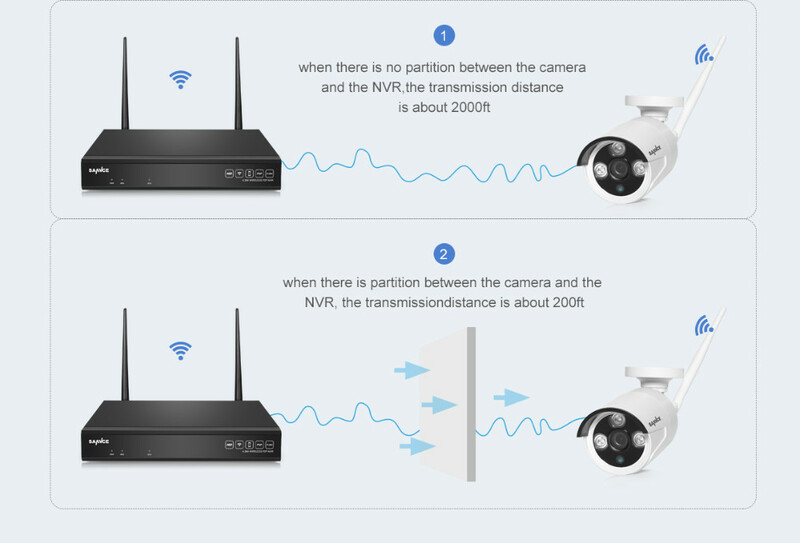 With strong penetration and anti-interface ability, the system is guaranteed to provide you smooth videos. 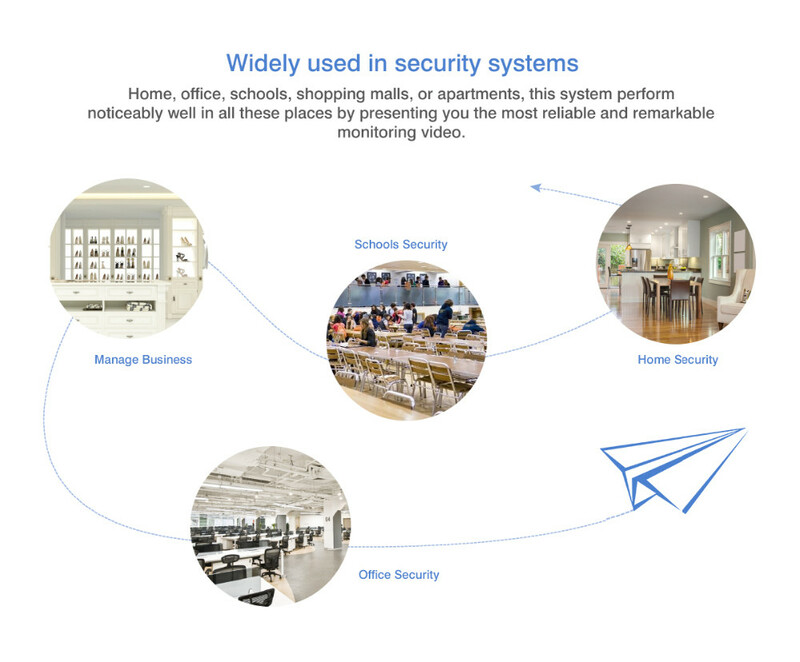 No need to sit before a computer to check on your cameras! 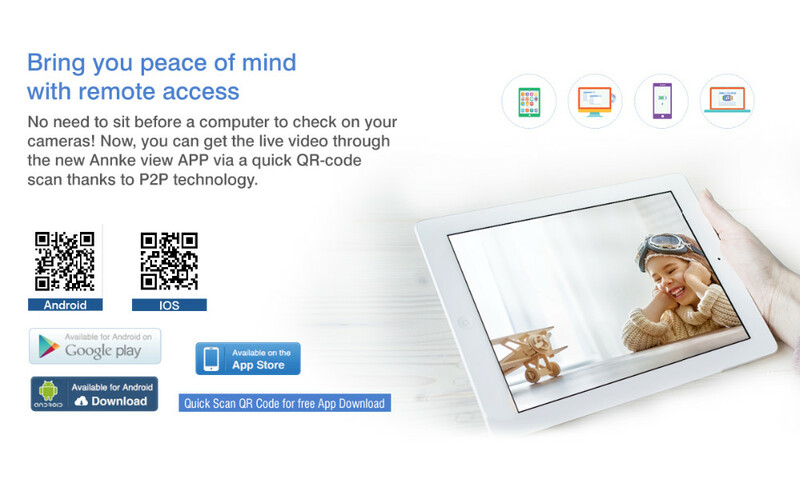 Now, you can get the live video through the new Annke view APP via a quick QR-code scan thanks to P2P technology. 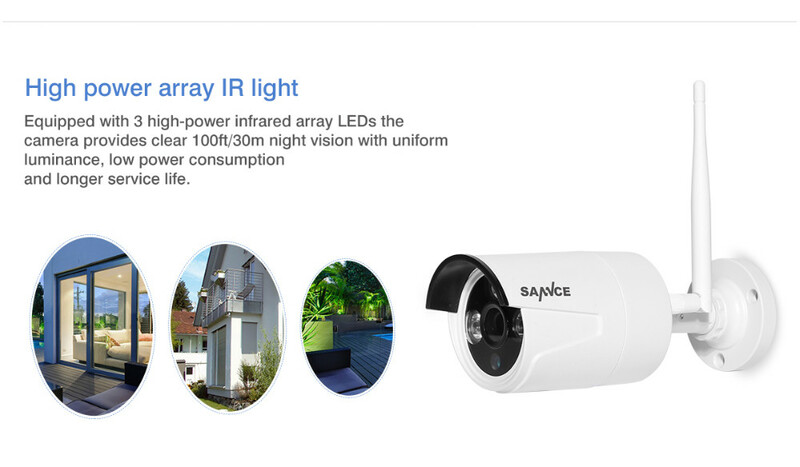 eaquipped with 3 high-power infrared array LEDs , the camera provides clear 100ft/30m night vision with uniform luminance, low power consumption and longer service life . 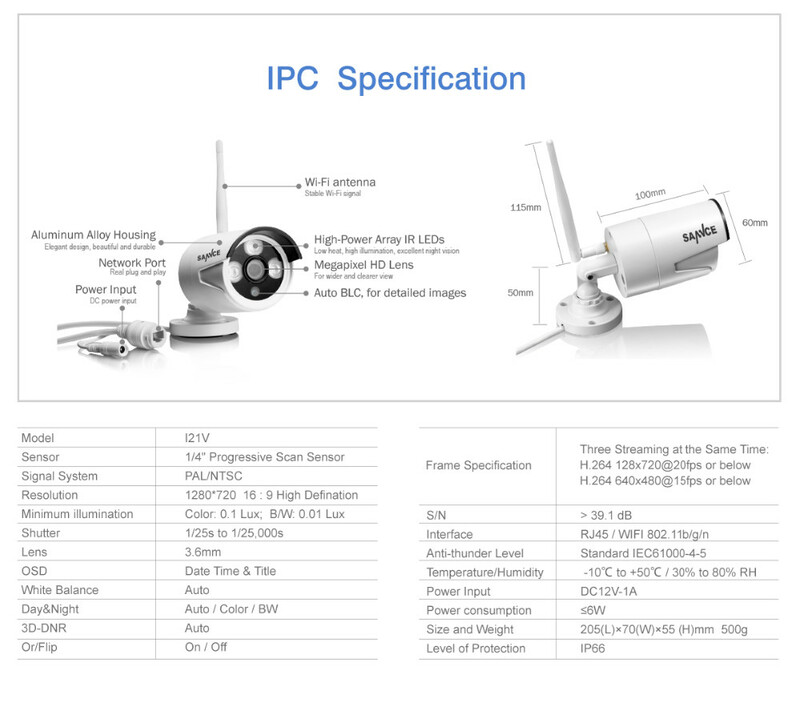 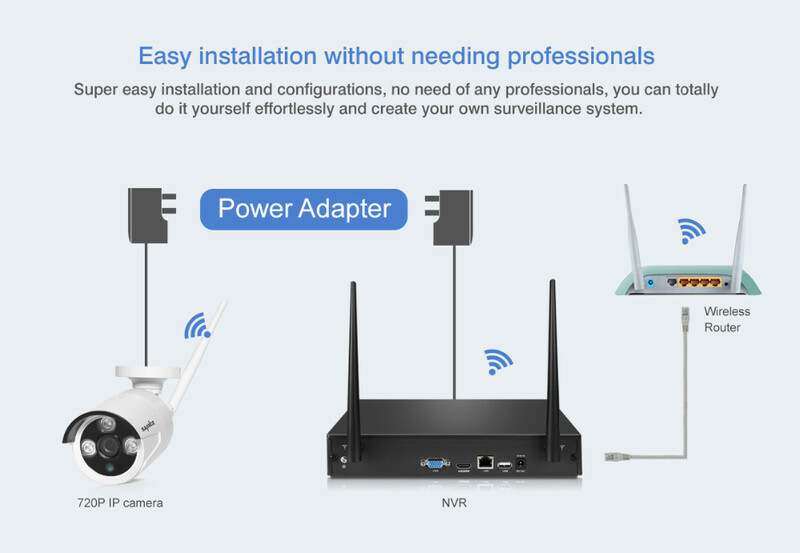 Super easy installation and configurations, no need of any professionals, you can totally do it yourself effortlessly and create your own surveillance system. 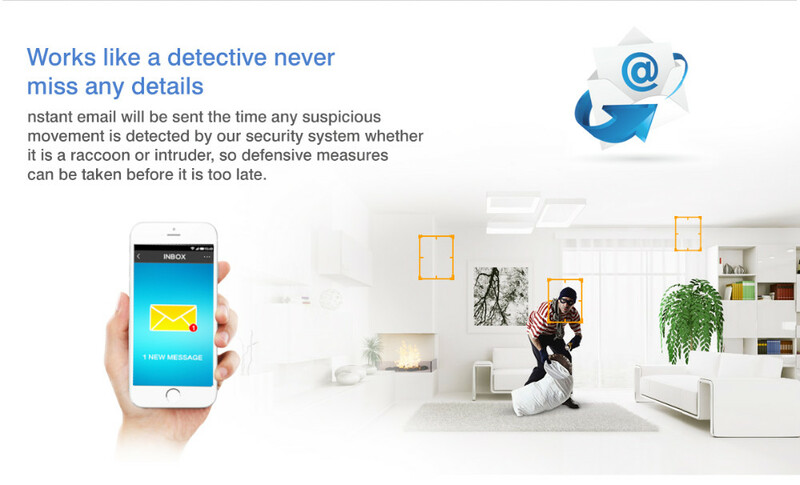 Home, office, schools, shopping malls or apartments, this system perform noticeable well in all these places by presenting you the most raliable and remarkable monitoring video .